The Town of Kingston Springs does not require a municipal business license. Cheatham County does require a business license, and proprietors can apply by contacting the County Clerk. Beer sales are regulated by the Kingston Springs Beer Board which meets as needed. A beer sales application will need to be submitted to the City Recorder. For more information, please call the City Recorder at (615) 952-2110, Ext. 12. 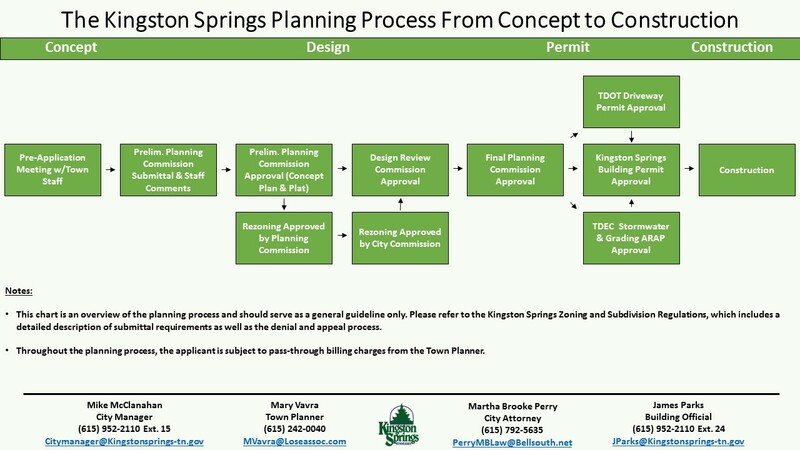 Commercial building permits are filed with the City Manager and approved by the Kingston Springs Municipal-Regional Planning Commission. The planning process for all commercial development is highlighted in a flowchart. For more information, please call the City Manager at (615) 952-2110, Ext. 12. To be placed on a Planning Commission agenda for any other reason, be sure to submit a planning commission submittal application and contact the City Manager at (615) 952-2110 Ext 12. The Town monitors and strictly enforces signs and other advertisements. All signs must be in compliance with the town's sign ordinance. Any new signs or changes to existing signs must be reviewed by the town's building official and a sign permit application must be filed. If a permit is denied, the applicant may elect to appeal the decision to the town's Sign Appeals Board. 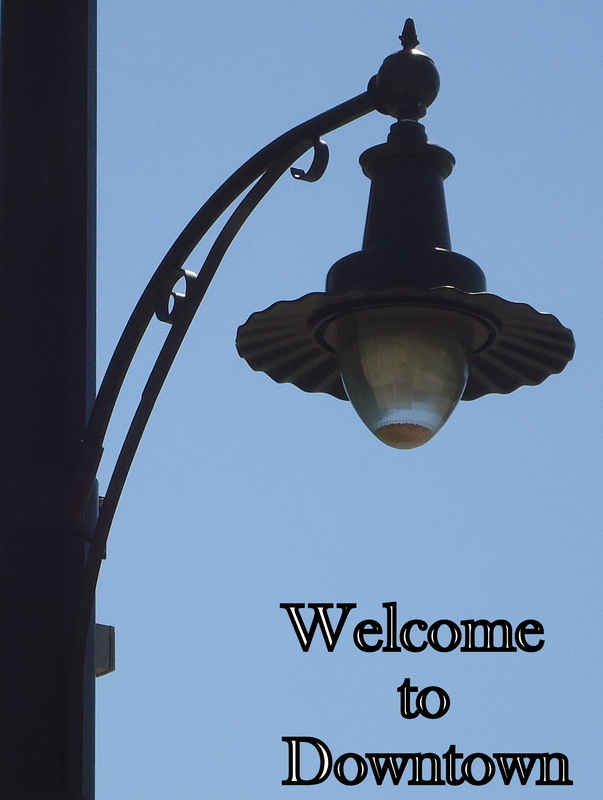 The Town of Kingston Springs has a vested interest in helping your business succeed. As such, the City Manager is charged with serving as an ombudsman to local services, resources, and the community itself. For any interests, inquiries, or issues, please call us at (615) 952-2110, Ext. 10, or citymanager@kingstonsprings-tn.gov.